Travel innately sparks the imagination and ignites a childlike curiosity of the world. If you have questions, we can answer them. Whether you're wondering which itinerary or destination is right for you, worried about cultural norms and etiquette or just want to get knowledgeable around each country's entry requirements, we're always here to help. 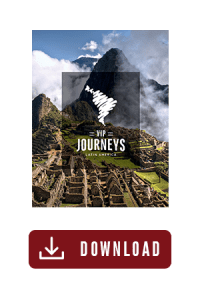 This VIP Journeys FAQs page answers some frequently asked questions about Central and South America travel. If you don't see what you're looking for, please contact us for additional information. Why go on a VIP Journeys Tour? Because you want something that is “tailor made” and “extraordinary” and you deserve the very best customized program, service and value period! Do your programs have any special departure dates? Customizing your itinerary with our city packages means you can travel any time you like. If you opt to take one of our Tour Packages you may have to schedule your departure on a certain day of the week. Timing your trip properly will allow you to experience the best time at each location and coincide with unique events. Do we offer Travel Insurance? Yes! For more information on the available plans or to enroll, www.travelexinsurance.com or contact Travelex Insurance Services at 800-228-9792 and reference location number 10-0315. You get our expertise and trip designing 100% free! Our booking service is free to all booking a private tour. By their very nature, all our programs are escorted by your own special guide. However, the majority of our programs – be it Cultural, Eco or Culinary packages – are “Hosted”. This means in each city you visit, a guide / personal valet meets you at the airport, assists you at hotel check-in, will offer you a personal tour of the city and is always available to assist you, allowing independence and flexibility. And by the way, our guides are one of the best assets; a warm, caring guide can make all the difference on a trip, and we only have the best on our team. We highly recommend the spring or fall which is dry and mild. Some regions experience extremes in the Rain forest areas and in Patagonia but for the most part most of South America is really comfortable all year around. The high season is from December to March and this is considered the summer season everywhere in South America, especially at busy beach destinations. Some countries such as Argentina offer a wide variety of climates, subtropical in the North, sub -Antarctic in the southern Patagonia, and mild and humid in the Pampas plains. Media temperature from November to March is 73f, and 54f from June to September. Ask our experts about your dates and destination and they will make sure you’re well prepared. When is the best time to visit Central America? 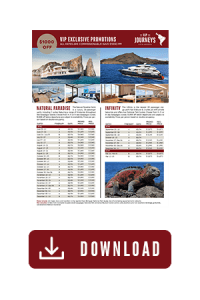 The very best time to visit Central America is during the “dry season” which, in most countries, is January-March (or November-April in Honduras, Nicaragua and Panama). In Nicaragua the rainy season means an hour of rain in the afternoon, and it’s gorgeous at this time of year. We listen to our clients and match the hotels with their style. Some prefer modern boutique hotels, others prefer the comforts of a Four Seasons or Belmond. We can always match 4 Star Hotels to if your budget requires a more affordable option. Some prefer a smaller and more exclusive environment; we will cater your stay preferences according to your taste. Some clients prefer to stay only in Private villas for a special local experience and privacy. Do your package prices include airfare? Your airfare will depend on whether you choose “Economy” “Executive” or “First Class” travel. Once we have determined your individual needs, our expert planners will pick the best flight and options tailor made for you. Ultimately, it is our knowledge of the flights and the carriers that allow us to make each client individually happy. We offer consolidator rates so our prices are very competitive, even with the best online reservation sites. If you have miles and wish to take care of your own International flights, ask us for a Land only package with domestic air only. Who travels with VIP Journeys? Our clients are people who are stray away from homogenized group tours, looking for unique experiences off the beaten path festivals, closed door restaurants, tours and experiences that enlighten and are extraordinary. Most are well traveled and prefer customized itineraries. We have planned trips for VIP’s, celebrities, professional athletes and executives who demand that extra special service that can only be offered by a company that can do things others can’t. However, we make all our clients feel like VIP’s in the end. We think out of the box… and We’re out there!! What airlines do you work with? We have contracts with all the major carriers to South & Central America, we will use the routing and carrier that offers the best combination of good schedule and best value. If you have a preference, or have points to redeem, please mention to our planners so we may make your reservation accordingly. Which countries require a Visa, Reciprocity Fee or Entry fee? Please note: Visa and health information stated here is only a guideline. Only the information given by the consulate of the country you are planning to visit is up-to-date, official and correct. Argentina visas are not required for travel to Argentina for North Americans staying less than three months. However, a Reciprocity Tax is charged to Australians, Canadians, and US citizens upon arrival in Argentina. All travelers need a valid passport to enter Belize, good for six months past the date of arrival. While travelers are supposed to have sufficient funds for entry – sufficient meaning a minimum of $60 US per day of your stay – they are hardly ever asked for proof. All tourists and non-Belizean citizens are required to pay an exit fee of $39.25 US; this is typically included in airfare for American travelers. Bolivia visas are required for travel to Bolivia for U.S. citizens. Payment can be made upon arrival at any point of entry to Bolivia, or from your nearest Bolivian consulate. The cost for a Bolivia visa, whether made in advance or upon arrival, is USD US $135. A Bolivia visa is valid for five years after the date of issue, and will permit entrance to Bolivia three times per year, for a total of 90 days per year. The Bolivian immigration authorities can permit extensions only in special cases. To apply by mail for a Bolivia visa, requests must be sent to the Bolivia consulate office nearest you, with all required documents and a self-addressed, stamped envelope enclosed. Any traveler older than 1 year must also have an International Yellow Fever Vaccination Certificate, translated into Spanish. 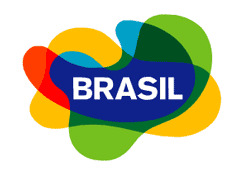 Brazil visas are required for North Americans traveling to Brazil. The processing fee for a Brazil visa is US for U.S. passport holders is $160. Because a Brazil visa takes time to process, it’s best to obtain one well in advance of your departure date. To obtain a Brazil visa, contact your nearest Brazilian embassy or consulate, or apply online. Chile visas are not required for travel to Chile for most citizens staying less than three months. All travelers need a valid passport to enter Costa Rica, ideally with more than six months left on it and plenty of blank pages. Visa are not required by USA, Canada, Australia, Britain and European Union nationals if they’re staying fewer than 90 days. If you intend to stay longer, you must exit Costa Rica for at least 72 hours before re-entering the country. Tourist visas for nationals of other countries are $52 US. Technically travelers must be able to prove they have more than $500 US in their bank account upon entry, but this is rarely checked. All travelers need a passport to enter Guatemala, valid for a minimum for six months. Guatemala is also part of the Central America Border Control Agreement (CA-4), which means travelers can skip border formalities when crossing between Guatemala, Honduras, El Salvador and Nicaragua for up to 90 days of travel. All travelers need a valid passport to enter Nicaragua; for all countries except the USA, the passport must be valid for at least six months. Travelers can obtain tourist cards upon arrival for $10 US, good for up to 90 days. Nicaragua is the southernmost party to the Central America Border Control Agreement (CA-4), which allows travelers to venture in and out of Nicaragua, Honduras, El Salvador and Guatemala without going through immigration formalities at border crossings for up to 90 days. Departure tax is $32 US. All travelers need a passport to enter Panama, valid for a minimum for six months. Occasionally travelers might need to show proof of a return ticket and at least $500 US in their bank accounts. Nationals of the USA, Australia and Canada are issued tourist cards for stays of up to 30 days. The cost is $5 US and often included in international airfare. Visas are not required for U.S. passport holders to travel to Peru for most citizens staying less than three months. Visas are not required for U.S. passport holders to travel to Uruguay for most citizens staying less than three months.